Escondido, March 25: A note referencing the recent terrorist attacks in New Zealand was found at the scene of a possible arson fire at a Southern California mosque, police said Sunday. Nobody was hurt, and members of the Islamic Center of Escondido were able to extinguish the small blaze before firefighters, officials said. The incident was being investigated as arson and a possible hate crime, said police in the city about 48 kilometers north of downtown San Diego. 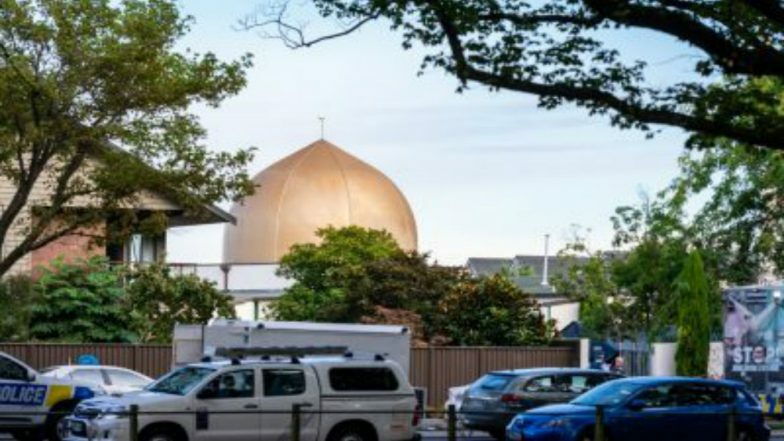 A note was found in the parking lot referencing the shootings this month that killed 50 people at mosques in the city of Christchurch, New Zealand, police Lt. Chris Lick said. He did not elaborate about the contents of the note. New Zealand Mosque Shooter Shouts Out to PewDiePie in Facebook Live Stream Video; Here’s How the YouTuber Responded. Investigators did not release information about a suspect. The fire caused minor damage to the building's exterior. Seven people were inside the mosque at the time of the fire, police told the KNSD TV station. They were able to put out the fire with a fire extinguisher before firefighters arrived on the scene, KNSD reported. The Escondido mosque was created four years ago and serves several hundred people in the city of about 143,000 residents, Miller said. He told KNSD that worshippers are undeterred. "While the majority of humanity has responded to the tragedy to draw closer to one another and refute hatred, a violent and hate-filled minority seeks further divisions. We are grateful that someone was inside the mosque and was able to act quickly to put the fire out. We ask anyone with information to come forward and contact the Escondido Police Department. We stand in solidarity with our community members who attend the Islamic Center of Escondido."